Spanish Lakes Estates is a quite little community located in Washington County on Ditch pond which has 3 connecting Private Lakes. 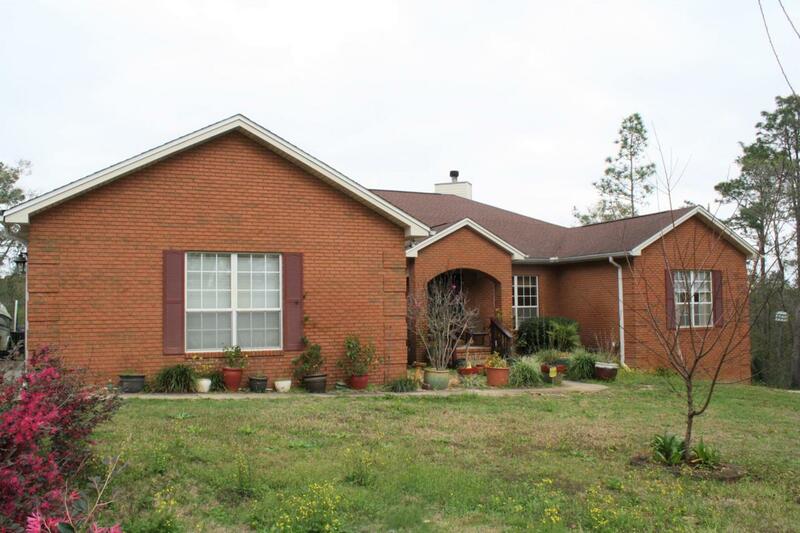 This beautiful 3 bedroom 2.5 bath with a 3 car garage is set up for country living. The home has a newly built dock over looking the lake which provides some awesome fishing. After along day of fishing, relax over looking the lake in your own hot tub on the screened in porch. Afterwards sit beside the fireplace on those chilly winter nights. The home has a large master bedroom with a split floor plan for privacy. The living room provides a open floor plan with the kitchen outfitted with stainless steel appliances.In the spring enjoy the bountiful harvest of fruit from your very own fruit trees such as peaches, apples, plums, oranges, tangerines & lemons.